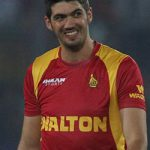 THE national selectors have recalled legspinner Graeme Cremer and wicketkeeper-batsman Regis Chakabva for the upcoming limited-overs matches against Bangladesh. 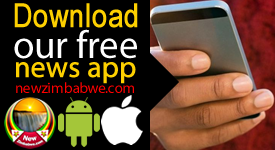 A ZC release confirmed that Elton Chigumbura will lead the 16-member squad for both the three ODIs and the two T20Is, starting November 7. 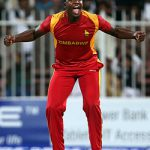 Brian Chari, Kevin Kasuza, Tinotenda Mutombodzi and Christopher Mpofu, who were all part of Zimbabwe’s limited-overs squad which lost at home to Afghanistan, were omitted from the national team, but will join the Zimbabwe A squad for a home series against Bangladesh A.
Chakabva was included in the team on the back of a strong performance for the A team against Ireland in Harare, where he scored a century in both innings. 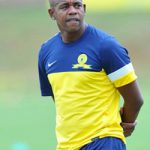 Cremer made the squad after recovering from an ankle injury. He last played for Zimbabwe earlier this month, during the home series against Pakistan, taking four wickets from four matches. 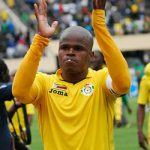 Mashonaland Eagles’ captain Tinotenda Mutombodzi will lead Zimbabwe A for the three one-dayers, with Matebeleland Tuskers’ captain Godwill Mamhiyo deputising, while the two players will swap roles for the four-day matches. “We have picked a senior national squad that we believe will quickly recover from the disappointing series against Afghanistan and go to Bangladesh to show that we are a competitive nation,” Kenyon Ziehl, the convener of the national selection panel, said.